Bag FREE Pastel de Natas at this restaurant’s birthday! This one’s for those who need an afternoon pick-me-up. 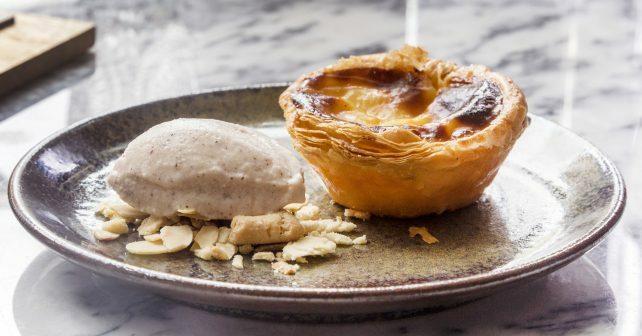 One riverside restaurant is turning two and to celebrate, staff will be giving away dozens of FREE Pastel de Natas. Portuguese eaterie, Bar Douro in Flat Iron Square will be serving up the Iberian treats to anyone who wants one to mark the big birthday day. There’s 100 in all so there should be enough to go around. For those who don’t know, Pastel de Natas are custard tarts originally made by Catholic monks in Lisbon two centuries ago. The wobbly, custardy goodness comes served in a crisp, flaky pastry. You might expect cake at a birthday party, but we’ll gladly take these!